The stories have been selected to provide a look at human issues such as rural migration, feminism and the refugee experience.The characters, whether they are mothers and daughters or husbands and sons, always seem to be people we have seen and possibly even know in our daily lives. They are never distant or two dimensional.The stories are full of wisdom. 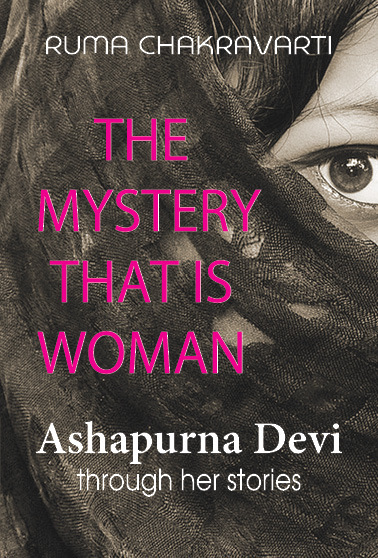 The writer had a great understanding of the layered complexity of the world outside the confines of the four walls of a home.These stories deal largely with women and the situations they find themselves in, in different settings both urban and rural. While deeply sympathetic towards the dreams and heartache of a woman’s life, Ashapurna never does this at a cost to her male characters. Her feminism is neither strident nor vitriolic but her characters are treated with respect and compassion. Ruma Chakravartihas been blogging about Bengali literature for seven years, translating songs, poems and stories. A year after she started, three volumes of Ruma’s translations of Tagore’s work were published at the Kolkata Book Fair in 2013. Reliving Tagore is another popular work. Ruma translates from Bengali to English in order to make more people aware of the rich body of Bengali literature, which remains relatively unknown to English-speaking readers. Growing up in Africa, India and Papua New Guinea, she now calls Australia home.